The original Woodman Public House was built by George Staples, a publican and wood merchant, in 1845. After his death in 1859 his wife and son took over the running of the pub. Later landlords included George King, Charles Shepherd, Tom Henden, Henry Sheldon and John Harvey. 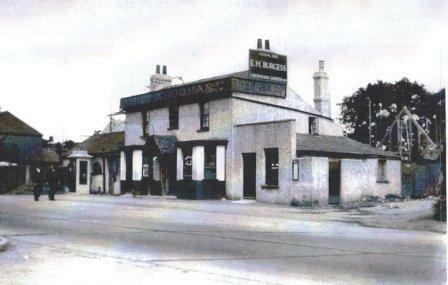 The present-day pub was erected behind the old one so that business could continue uninterrupted and opened in 1931. It was a well-known music venue for many years. Do you remember the jazz musicians and bands that have played here? 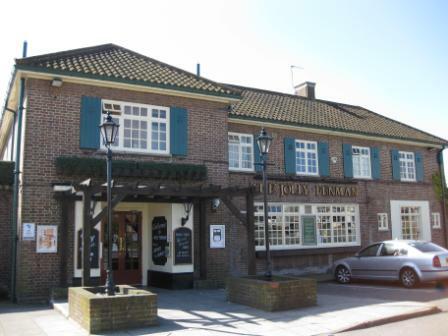 The name of the pub was changed in 2008 to The George Staples at Sidcup. 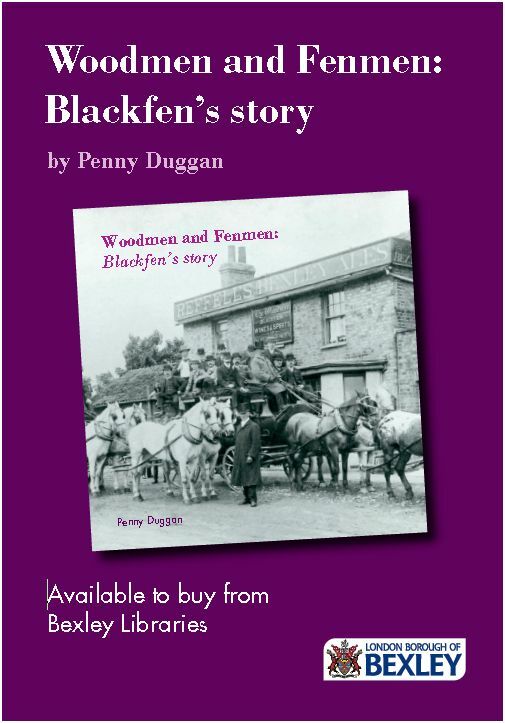 More about the old Woodman can be seen at The Woodman, 1845-1931. 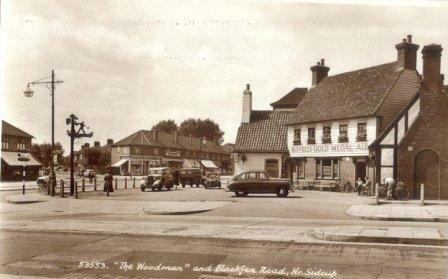 The Jolly Fenman opened in 1957 and a competition was held to choose a name for the new pub. For a short time it had its own brewery. Do you remember any of the beers, such as the Fenman Fortune? 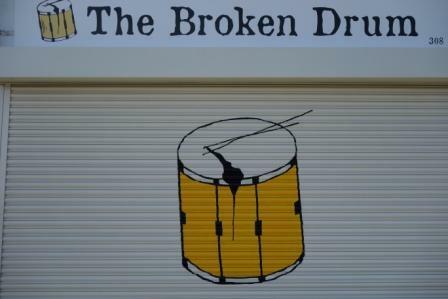 A new micro pub, The Broken Drum, in Westwood Lane opened on 17 April 2015.